Dozens of protesters derailed James Comey today during his trip to Howard University. Then during his convocation address students stood up and shouted him down! 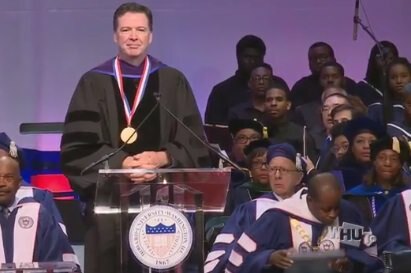 Protesters sang, “We Shall Not Be Moved” as former FBI Director James Comey took the stage at Howard University.